Playlists were once a democratic realm of tastemakers, but the most popular ones have been influenced -- and in some cases purchased -- by promotion companies, one of which was recently hired by the world’s largest music corporation. As the Internet has leveled many power blocs of the old music business, playlists have become valuable currency in streaming’s new world order, so much so that record companies now actively promote -- and sometimes pay for -- their songs to appear on such services as Spotify, Deezer and Apple Music. Like social media, playlists are viral in nature: A track's streams will spike after it's added to a popular playlist; listeners will add the song to their playlists; their friends will do the same. Getting a song onto a hot playlist almost ensures awareness will spread from one social network to another. The practice truly went aboveground on Aug. 5, when Universal Music Group named industry veteran Jay Frank senior vp global streaming marketing (reporting to Michele Anthony, executive vp recorded music, and Andrew Kronfeld, president of global marketing) and invested in his digital marketing firm DigMark (for an undisclosed amount), an innovator in playlist promotion that charges label clients $2,000 for a six-week campaign. Frank, who has a reputation among his peers as a “data guru,” as one business associate described Frank, seems a logical hire for a ­corporation such as UMG. Yet sources tell Billboard that Frank’s company is among those that have adopted some of radio promotion’s ­unsavory ­practices, such as paying for placement on playlists, if not buying and thus controlling them outright. Multiple insiders allege that the major music groups -- as well as DigMark and a playlist promoter -- have paid influential curators to populate their playlists with their clients’ music. Some third-party users are known to request money to include songs on their playlists. Indeed, spots on many of the largest Spotify playlists are already controlled by the three major music companies, which each own a branded property that curates playlists of many styles and genres. UMG launched playlist service Digster in the U.S. in 2011 after developing it in Sweden. Sony Music's branded playlist Filtr was started in 2012. Warner Music Group bought Playlists.net in October and renamed it Topsify. Their playlists are amongst Spotify's most popular: Filtr's Top of the Charts playlist, for example, has 619,000 followers. The audience numbers are impressive: a Spotify playlist created by tech entrepreneur Sean Parker, often credited with helping to break Lorde's "Royals," has nearly 813,000 followers. Viral Hits, a collection of songs from Spotify's viral charts, has a more modest following of 251,000 but can make a big impact. "You get a song on there and you're instantly relevant -- for a week at least," says Daniel Kruchkow at Crush Management (Fall Out Boy, Sia). What does that mean for developing artists? A familiar, uphill battle to get to get their music heard. Still, even if the playlist world has been corrupted, many find the new boss much more palatable than the old one. Radio has long been the domain of the best-connected and most-funded. 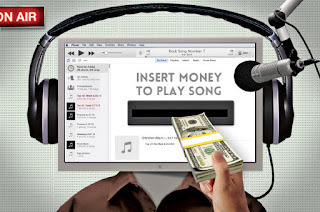 Digital services like YouTube and Apple, on the other hand, offer promotional opportunities for independent artists and marketers -- and even developing major-label artists -- that don't interest corporate radio programmers. "For me and the artists I manage, this presents an opportunity that's pretty equitable," says Charles Alexander, a digital marketer and co-founder of Streaming Promotions. "If one playlister doesn't like us, we go on to the next one. At consolidated radio, if someone doesn't like us, we're dead in the water."